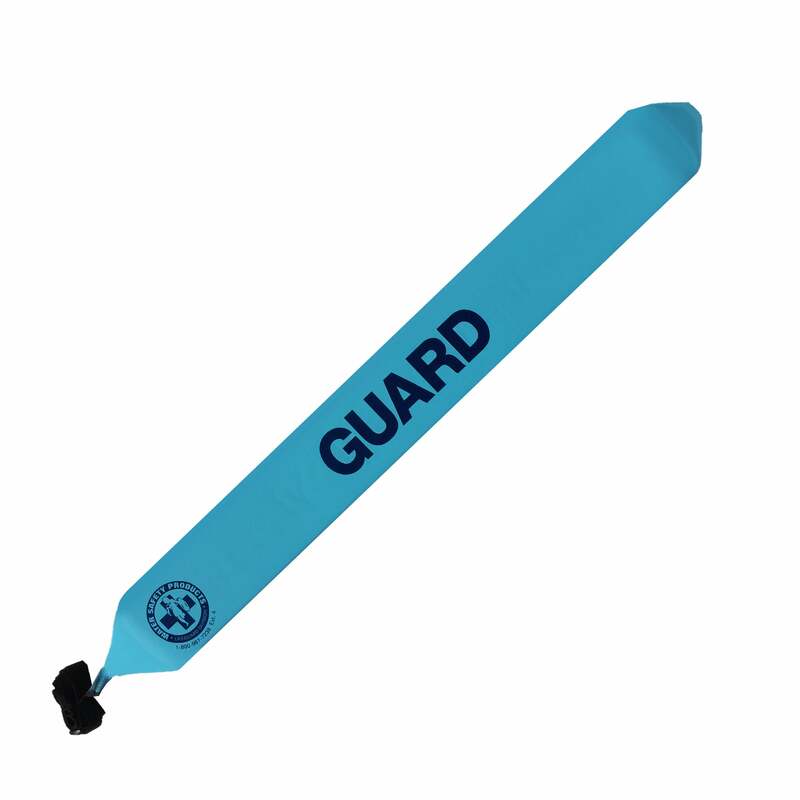 The 710 colored lifeguard rescue tube has been our number 1 flotation device since 1999. This IAAPA award-winning product was the first rescue tube design to be offered in a variety of colors, and has remained popular for its shape, consistency, and durability. 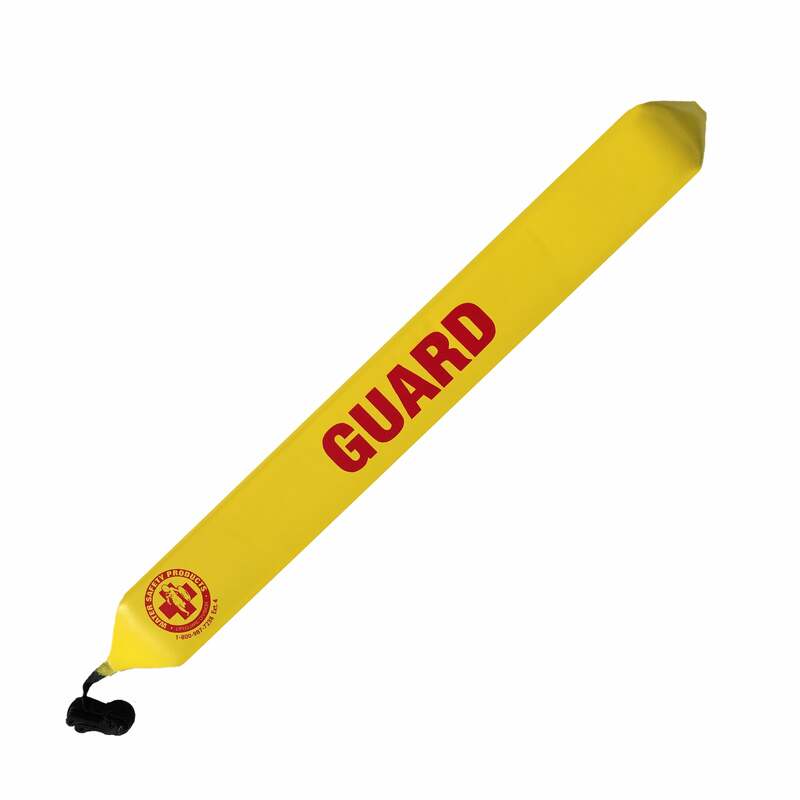 The lifeguard tube measures 50" long by 6" wide by 4" thick and is made of multiple layers of high viscosity vinyl, minimizing punctures and tears. The rounded edges also increase durability, and tapered ends reduce drag, making it easier to pull through the water. The 400 denier adjustable shoulder strap is connected to the rescue tube by 1" nylon strapping that extends completely through the length of the tube for added strength. This lifeguard rescue tube features "GUARD" lettering on the front. Pros: Strong, Durable, and Reliable these tubes are great for rescues and offer way better quality than the other models on Amazon. Cons: Foam can be picked at very easy when guards are bored that's why I recommend the tube jacket to increase grip and durability. Pros: This is a great rescue tube! Use it at the water park I work at and I love it. Very soft to the touch for sitting in the stand or walking with it. Works great for kneeling on for CPR and putting under the backboard to provide more buoyancy, then pulls out very easily. 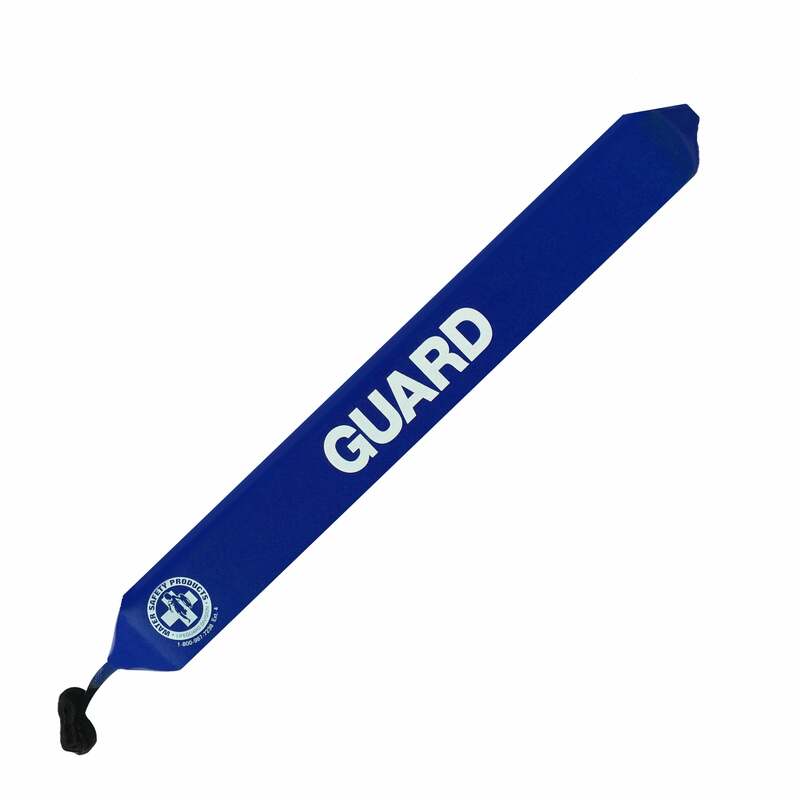 Cons: Very easy for guards to pick at stuffing and pull the tube apart and because it is so slippery, there have been a few rescues where the person can't grab onto the tube. Pros: Very lightweight and easy to carry around while roving/strolling. When in the chair, the material is of really nice quality and is smooth to the touch. It is durable and we have not experienced any cracking in the material itself. Cons: Need a small nylon strap at the opposite end of the tube, not just the shoulder strap. When we first got it it was a little too slippery in the water when we were training. Overall we are pleased with the guard tube. Note from WSP: We do have a tube with a loop at the end opposite the shoulder strap - #710T, rescue tube with reach assist. Take a look - it may be exactly what you're looking for. Pros: Great Tube! I purchased this tube for personal use at work and to teach lifeguard courses. The buoyancy of this tube is greater than most of the tubes out there and makes it easier to move people around in the water. The tube has a great skin to it that resist the daily wear and tear and after a year of use has no nicks or cuts in it. The strap is adjustable and long enough that you aren't kicking the tube. The tube has been knelt on for CPR demos and always bounces back to its original shape after a few minutes. I will be purchasing these in the future and pushing my company to replace old tubes with this great product.